There’s not much I can say about this one that won’t give away spoilers, but I didn’t like it. It was like a weird mystery, watered down version of Fifty Shades of Grey. Edward, an architect, has designed a futuristic, minimalist house on One Folgate Street. Its renters must adhere to dozens of rules. Edward is weird, but so are the women-Emma, from the past, and Jane, who is currently living there. Nothing seemed to fit or make sense, especially the ending when the mystery is “solved.” It wasn’t scary, just a little creepy and confusing, and the storyline seemed jumbled. If you’re looking for a good thriller, skip on this one. When I saw this coloring book available to request from Harper Collins/BookLook bloggers, I KNEW I had to request it as I love to color and I’m going to be a mom for the first time in August! This is a BEAUTIFUL coloring book filled with designs and hand lettered pages to color depicting real life motherhood, as well as bible verses and quotes. The pages are quite nice and sturdy, and perforated as well. 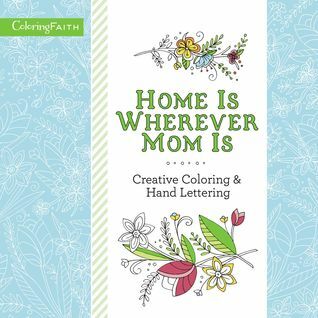 This would be a great gift for a new mom, or a worn out mom just needing a break to relax and color. I’m in my second trimester and some days I’m so tired from work and growing a baby I can’t wait to prop my feet up and spend an hour coloring and relaxing! Thank you to BookLook Bloggers for the chance to review this coloring book complimentary! One day during a terrible flood, Aiden Price, 6 years old, vanishes. His body is never recovered and eventually his mother, Emma, has to declare him deceased. Emma ‘s life went into a tailspin. She became an alcoholic and tried to commit suicide. Now she’s healing, 8 months pregnant, and happily married. 10 years later, Aiden is found walking out of the woods. Where has he been for all these years? Who took him? What happened? All of these questions remain unanswered because Aiden isn’t speaking. Based on test the doctors run and from the looks of him, the DCI has determined he was held captive in a small dark place. Why won’t Aiden tell anyone what happened to him? Is the abductor someone he knows, and he’s suffering from Stockholm Syndrome, and wants to protect his captor? The police are questioning every person who had contact with Aiden 10 years ago, but they’re unable to make a break. Emma’s marriage is suffering and she’s about to lose all control due to Aiden not talking-if he would just speak, this nightmare could end! 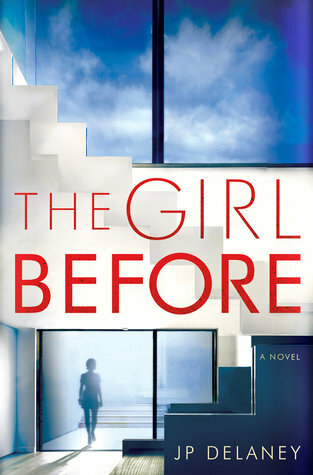 The beginning of the book seemed to drag on, but the ending totally redeemed it for me because the psychological aspect of this dark thriller completely messed with my mind and had me questioning everyone. You think you’ve got everything figured out and then you’re hit with another roller coaster twist. I kid you not, so much craziness happens in the last portion of the book, your jaw will drop in shock! The horrors you can imagine that Aiden went through were terrifying, and towards the end this book got insanely crazy. The amount of horrors that goes on in the last third of the book gave me nightmares! If you enjoy twisty, screw with your head fiction, definitely give this one a try! Brady has a wonderful family-two loving parents who support him and a great looking future in football. Willa’s mom had her young, abandoned her and left her at her Nonna’s, only to show up years later claiming she was ready to be her mom, but it was all a lie. The things her mother says and does to her broke my heart. Gunner Lawton’s family is THE family of Lawton. Filthy rich, but their house is full of hate. Gunner is keeping a secret that eats him up inside and has never felt love from anyone except his older brother. The wealth of his family doesn’t hold a candle to the compassion and acceptance he wished he had. This series is substantially more tame than Glines’s other novels, but I still enjoyed the drama, emotion, and romance. This series deals with characters who have suffered so much pain and heartache at such a young age that desperately need someone to understand them and show what them love truly is. My heart was crushed and my emotions wrecked all over the place, but I loved every minute of it. With sass, southern charm, snark, and a hint of malice, the short stories contained within American Housewife deliver it all. The stories are a little dark but also hilarious! This story collection is highly entertaining and makes for a quick read! 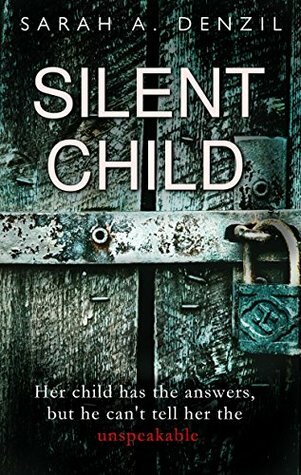 Maggie, a girl who witnessed her father murder her mother and has since stopped speaking, because if she doesn’t speak, she doesn’t have to talk about that day… moves in with her mother’s brother Boone, his wife Coralee, and their son Brady who is the same age as Maggie. Brady is the hotshot school quarterback. 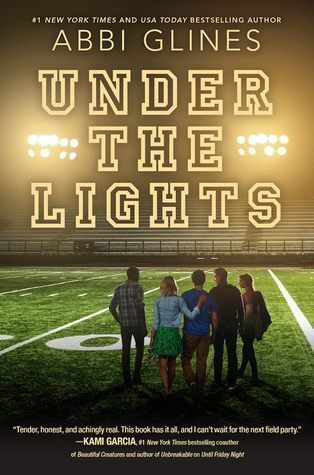 He tells all his football buddies that Maggie is off limits, but she’s beautiful. She’s obviously a good listener, and has a kind face, so it’s not too long before one of Brady’s friends is trying to flirt with her. West’s dad is dying of cancer. West is a big-time football star like Brady. He’s hot and he knows it, and could have any girl at the school. He puts on a front so he doesn’t show his hurt from watching his dad slowly die more and more each day. 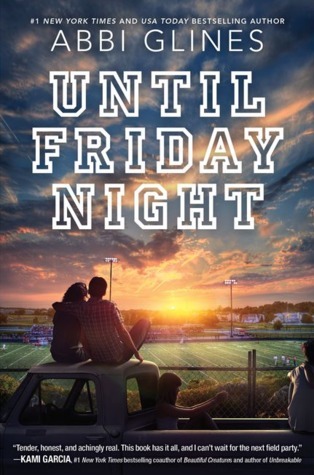 As West and Maggie begin to form a connection only the two of them could share, the line between friendship and romance becomes blurred. Maggie knows the pain of watching a parent die, so she’s able to be there for West when he just needs someone to listen and relate to his fears and pain. Gosh, this book really tore up my emotions, I was sobbing so hard by the end! I really felt the pain and grief that West and Maggie were feeling, and the way they connected over such heartache was terrible and heartwrenching, but the way they helped each other heal and work through their pain was so sweet. I can’t wait to read the next two books in this series! Louise Jensen is back with another psychological thriller after her awesome debut, The Sister! Jenna has received a heart transplant and, going against doctor’s advice, has contacted the family of the donor. Jenna feels guilty but grateful over her second chance at life, because someone had to die so that she could live. As she becomes more involved in her donor family’s life, Jenna begins to question what really happened to Callie when she died. When she begins having dreams and sensations of being in the donor Callie’s life, she starts to do some research into Cellular Memory. Can organs retain memories, and, once transplanted into another, show the recipient what it remembers? Jenna thinks so. She believes Callie is trying to show her something, and she is determined to get to the bottom of how Callie died. Jenna can feel, and see, Callie’s emotions and certain shocking memories. She’s on loads of medication to help her body not reject her heart, she’s having panic attacks, and becoming forgetful and spaced out so her friends and therapist don’t believe her. 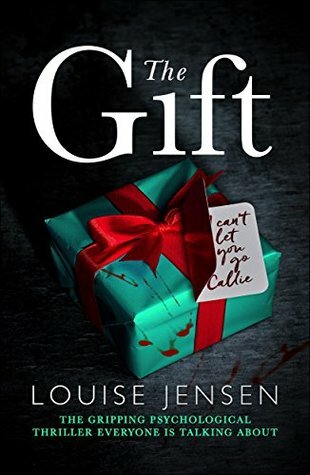 But as Jenna tries to understand more about Callie’s family, her past and her death, it becomes obvious some sort of foul play is at hand and someone wants Jenna to stop digging. This was a crazy thriller with an ending I didn’t see coming! Point of Retreat picks back up with Layken and Will after Layken’s mom passes. Lake and Will are raising their younger brothers and still working on making their relationship last. But when a person from the past shows up Lake begins to question their entire relationship and Will must do all he can to prove to her his love is real. I was really annoyed with Lake in this book. She was overly whiny and dramatic jumping to conclusions without giving Will a chance. I understand her hurt and doubt but she was acting like a child. Eddie and Gavin are back and their relationship and friendship with Will and Lake is just awesome. There’s also some new characters involved, Sherry, and her daughter Kiersten who is in school with Kel and Caulder. They are hilarious and become instant friends with Will and the rest of the group. 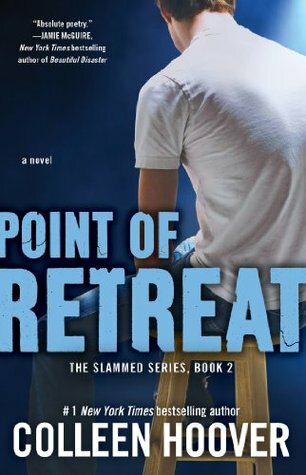 You know it wouldn’t be a Colleen Hoover book without a scene to make you weep, and does Point of Retreat ever deliver on that! As relationships are tested and futures look uncertain, your butterflying emotions will be all over the place with this one. Michael O’Shaunessey is 13 years old and in Hitler’s Youth. The thing is, he’s not committed to Hitler-he and his parents, Irish ambassadors, are spies. Michael befriends a weak boy at school after he’s ruthlessly attacked. The two of them start training together, to work on their separate weaknesses-Michael has a fear of heights, and Fritz cannot fight- in order to advance in to the SRD. Michael has a photographic memory which serves him well as a spy. 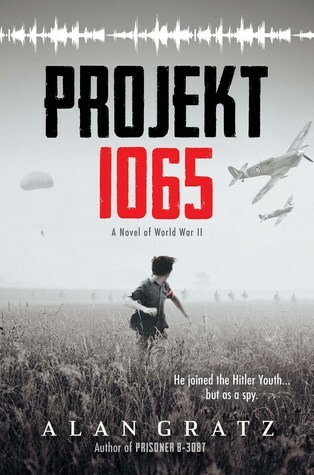 Fritz has shown him plans for a jet fighter plane called Projekt 1065 that Michael memorizes and with the help of an unlikely Ally, is able to reproduce the blueprint. But when Fritz becomes hardened with all his Nazi training and soon is put on a special “science team” that can only end badly, Michael must pretend to be a complete Zealot to the Nazi cause in order to help the Allies even if it means risking his and his family’s life. While this is a novel of WWII, it is geared towards younger readers so it is not very graphic with war detail. It can also give young readers a sense of courage and feeling of how to want to do the right thing and help even when it’s hard and you’re in the minority. That said, I just didn’t feel like Michael was that believable of a spy as he would sometimes outwardly show disgust and not show enthusiasm like the other boys when they got to do something “important” for the cause. I was afraid his lukewarm attitude would get him caught. The bravery of a young boy in treacherous times made for an appealing story and I really liked how it ended.